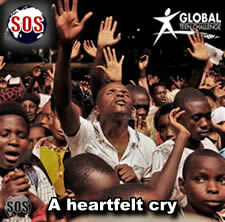 The Mission SOS Africa Capital Cities Tour roared into Kigali, Rwanda with the Good News. While many know of Rwanda's devastating genocide in 1993 between the Hutu and Tutsi, they do not know the Rwanda National Motto 'ubumwe, umurimo, gukunda igihugu' translated, 'unity, work, patriotism.' 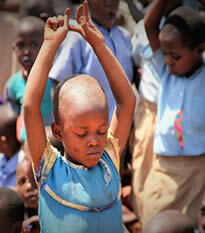 Today Rwanda refuses to be ruled by their tragic past or any tribal bias, but rather a call to love and unity. In partnership with international Evangelist Johannes Amritzer and 170 Mission SOS outreach workers from around the world, God moved across the city and nation. Nearly 50 amazing Africa Teen Challenge staff, students, and leaders from across the continent served with Mission SOS evangelism on the street, SOS kids, and SOS AID. They served powerfully and practiced ministry skills that they will now take back to TC in each nation to PUT HOPE WITHIN REACH. 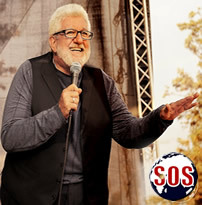 Evangelist Johannes not only ministered the gospel to tens of thousands in the festival field and led this powerful team, but he and Fernando met with top political leaders and hosted a National Press Conference with every major network that carried the Good News across the nation. We were honored that he responded to questions about addiction with a glowing endorsement of the ministry of Teen Challenge in Rwanda. At the front, thousands flowed to the "altar" to confess faith in Jesus Christ every night. God performed amazing healing miracles, deliverance and restoration as they lifted their hands to passionately cry out to God for His presence and confessed the Lordship of Jesus Christ. As powerful as the thousands who came to Jesus, we dare not lose sight of the "one." Each one is a miracle, with their own hurts and pains. Each one is a life that Jesus came to die for and the altar is just the beginning! 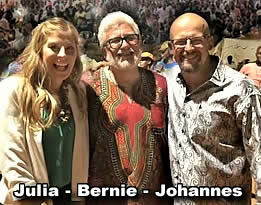 Such amazing nights in Kigali, Rwanda ... Thousands at the altar, miracles in the crowd. rejoicing in new life in Jesus as the red African dust rose beneath dancing feet. So blessed, Johannes Amritzer joined the Teen Challenge Africa Mass choir on the platform and rocked some Holy Ghost singing and showed his moves with us. 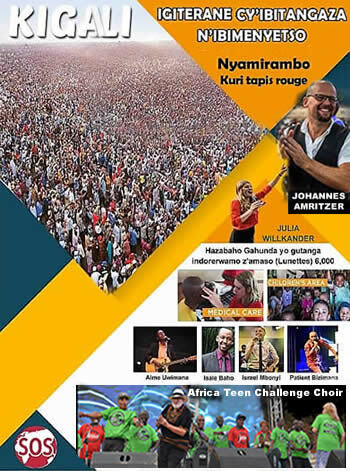 Come with us on the street, on the field and on stage for this raw, radical celebration of the miracles and lives changed during the MISSION SOS GOOD NEWS FESTIVAL in Kigali, Rwanda wit TC Africa. SOS KIDS: Across Kigali and in surrounding villages-schools, street, and festival grounds we were so blessed to work with Lauren Wiberg, Pastor Mickey, Sahra Tobler and our secret weapons from Switzerland, Nathanaël and Cindy Zürcher along with so many other amazing servants, fervent prayer warriors and great leaders with SOS Kids. So glad to be building a FENCE around the pit, rather than just pulling the lost, broken and addicted OUT of the pit. 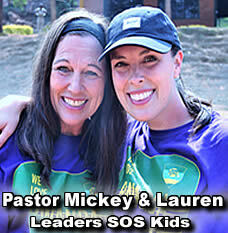 SOS KIDS and Global Teen Challenge, a dynamic, anointed Kingdom partnership! We preach Christ crucified, to Jews a stumbling block and to Gentiles foolishness, but to those who are the called, both Jews and Greeks, Christ the power of God and the wisdom of God. Because the foolishness of God is wiser than men, and the weakness of God is stronger than men. 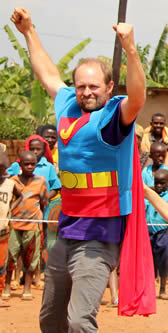 In the Mission SOS KIDS festival, we have been celebrating Jesus, the real superhero. Forgive me for repeating myself when I say that I have always loved Superman. To me, he has the most complete set of powers: x-ray vision, flight, super strength, etc. (Although not one of your has explained why, after bullets bounce off of him, he still has to duck when they threw the empty gun.) Superman is invincible, except for that kryptonite. But when we talk about Jesus, we know he has no weakness--or does He? Is it possible the all-powerful God has a weakness? Could the all-knowing one be foolish. My rational mind says, “That is impossible" but, 1Corinthians 1:25 contradicts conventional thought. Corinthains says the foolishness of God is wiser than men and the weakness of God is stronger than man. Could he be referring to the “kryptonite” of the Almighty? I encourage you my dear friend, keep pressing on. God will not give up on you. Don’t be discouraged, don’t give up! If God has a weakness, it is His commitment to you. For when we were yet without strength, in due time Christ died for the ungodly. For scarcely for a righteous man will one die: yet perhaps for a good man some would even dare to die. But God commendeth his love toward us, in that, while we were yet sinners, Christ died for us. When we were without strength, He surrendered his strength. When we were dying, He surrendered His life. When we were alone and without hope in this world, His sacrifice in death would lead to the resurrection power that led all of us to life. 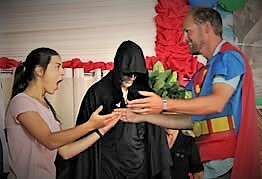 That is "kryptonite" transformed to the miraculous! If God has a weakness, it is His love for us, but even from this 'weakness' He can turn tragedy into triumph, problems to praise, trials to testimony, and sorrow to a song. No matter what you face today, never forget that God loves you-not because you are good enough, not because you are perfect, just because you are His child. He loves you unconditionally. So here it is… All conjecture aside, there is one thing we can never lose sight of. Only Jesus can come into your life, take the awful weight of your sin and give you eternity! The amazing promise of Jesus is that when you are without strength He can come and live inside of you to give you HIS strength. There is no superhero, not even Superman, that could offer to come and live inside of someone and pass their superpower on to you. Jesus gives you that promise. When you are weak, He is strong. Let him live LARGE inside of you and through you today. As we return from Rwanda, we still face some daunting financial challenges. Continue to pray with us as we face thousands in expenses to clear the costs for nearly 50 GTC Africa staff at Missions SOS. Thank you for standing with us, praying for us and your special gifts. 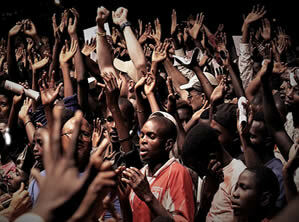 1) Pray for Teen Challenge Africa leaders. 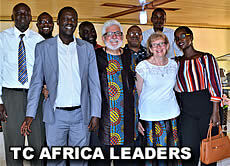 As our TC Africa leaders return to their centers, please pray that the flames of evangelism that were fanned in Kigali, Rwanda, will ignite a blazing bonfire of God's amazing love as they reach the lost and broken back in their homelands. HOPE has an address, it's Teen Challenge! 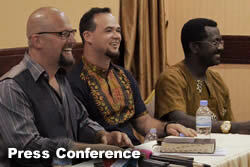 As the last Mission SOS teams have returned to their home countries, the local pastors, children's pastors and leaders are tasked with the most critical job of Evangelism, making disciples. 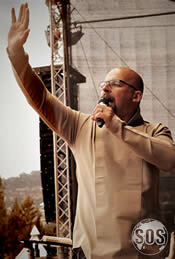 They following up on the tens of thousands who have made commitments to Christ. SO GRATEFUL for the passionate children's workers, school teachers, and church leaders who will partner with MISSION SOS is the power of the Holy Spirit to raise these babes in Christ to listen for His voice and follow hard after God. Please pray for these leaders and those who have found NEW LIFE in Jesus. His daughter, Jacqueline Brunson, described the allegations against her father as "absurd" when speaking to the United States Human Rights Council. She claims that he is innocent and the only crime he has committed is being a Christian pastor. At the end of August, we are blessed to return to the United Kingdom. 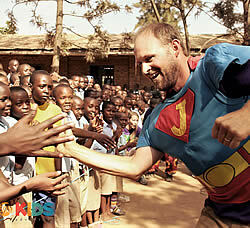 (Our very first mission trip outside the US was to help build an outreach team with Teen Challenge in the UK.) We are so excited to be ministering at Teen Challenge centers. across England, Scotland and Wales. We will finish out our time with l TC Graduation on September 1st. What a joy to look Ito the eyes of those who have been TRANSFORMED by God's amazing power and grace. LOOK WHAT GOD HAS DONE!! Stay tuned for those pictures and you will see for yourself!